The Olympics went out with a bang by showing a teaser for Tokyo Olympics. 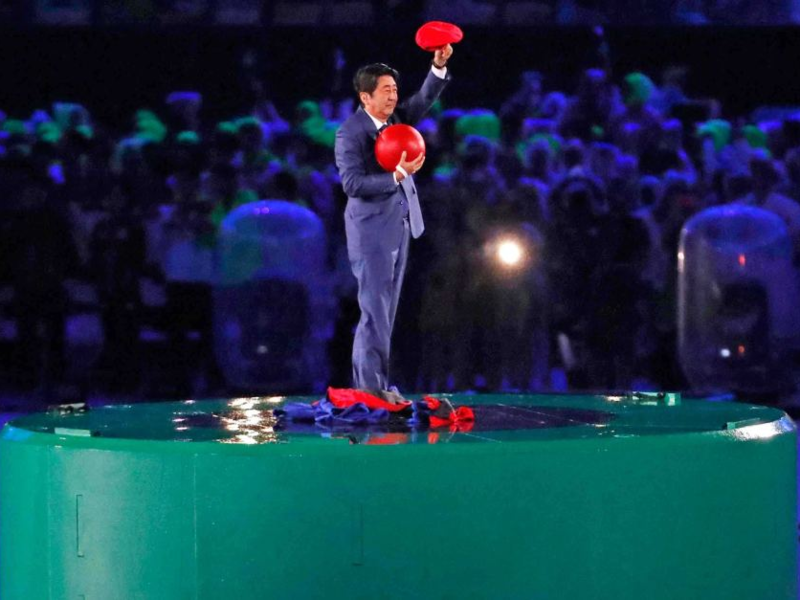 Japan’s Prime Minister Shinzo Abe came out of a pipe on stage wearing Mario costume. The Olympics are finally over, and it went out with a bang by showing a teaser for the upcoming Tokyo Olympics. The teaser video had one of the most iconic icon ever created - Super Mario - go down a pipe (because he does that), and instead of coming out, Japan’s Prime Minister Shinzo Abe came out of a pipe on stage wearing the Mario costume. It took a while for all to realise that it was Japan’s PM. Abe is not really known to show many emotions but he sure didn’t hold back this time! If we were to guess something out of this, it could be this - Japan is going to exploit its huge character database to make the Olympics as iconic and as Japanese as possible. You can see it in the screens below!